At this time of year, when the startling reds and golds of a Quebec autumn are long gone, the woods around Glen Villa are grey and colourless. The low stone wall marks the foundation of a sugar camp that once stood on this site. At least they appear that way at first glance. But a closer look reveals all sorts of surprises. 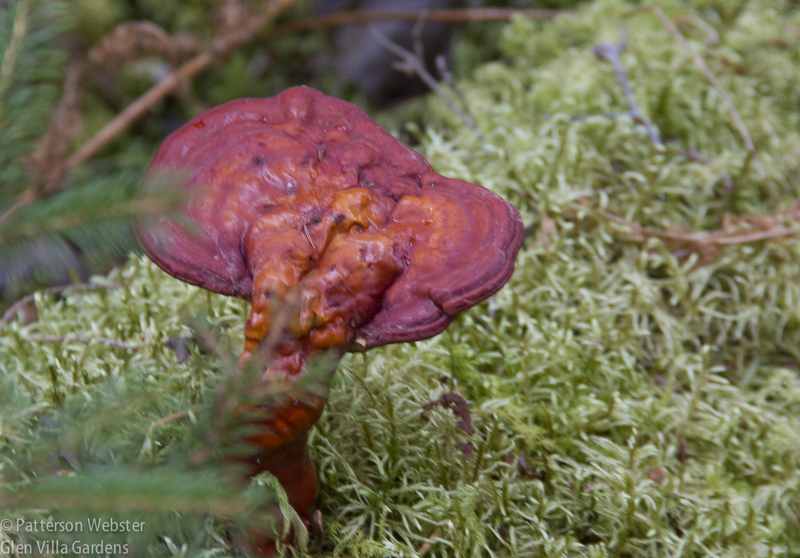 The patch of orange-red fungi stopped me in my tracks. I can’t identify them. Can you? This year, thanks to the unseasonably warm temperatures we have experienced over the last few months, the woods are full of colour. These colours aren’t all as big and showy as the patch of fungi pictured above. Few elicit the ooh’s and aah’s of autumn but the colours are there nonetheless, waiting to be noticed. 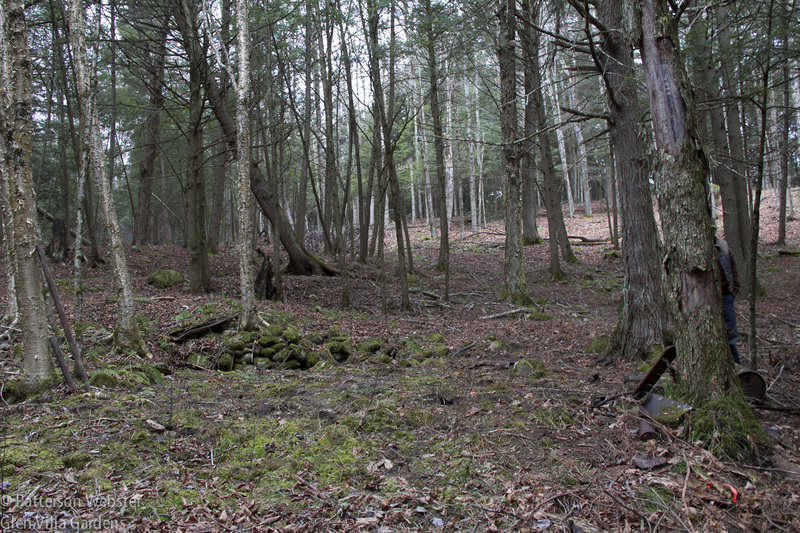 The land in this part of the woods at Glen Villa is very fragile. 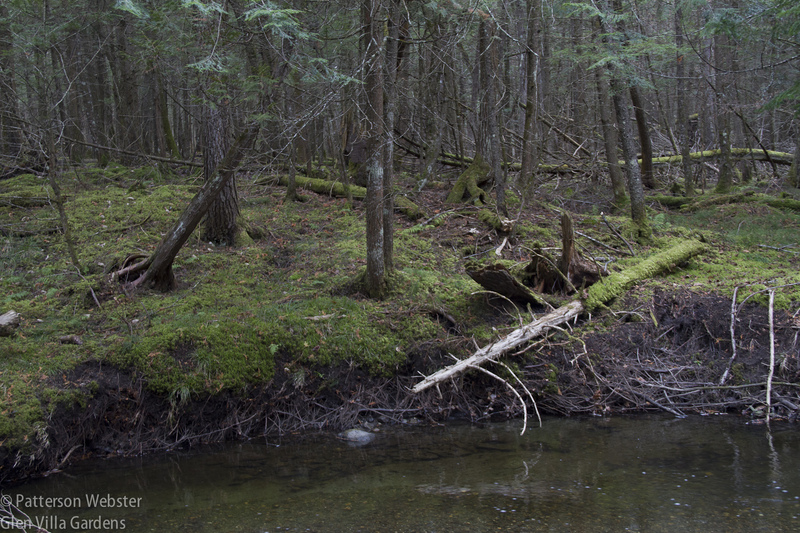 As trees die and their roots no longer hold the soil in place, sections of the stream bank collapse into the water. 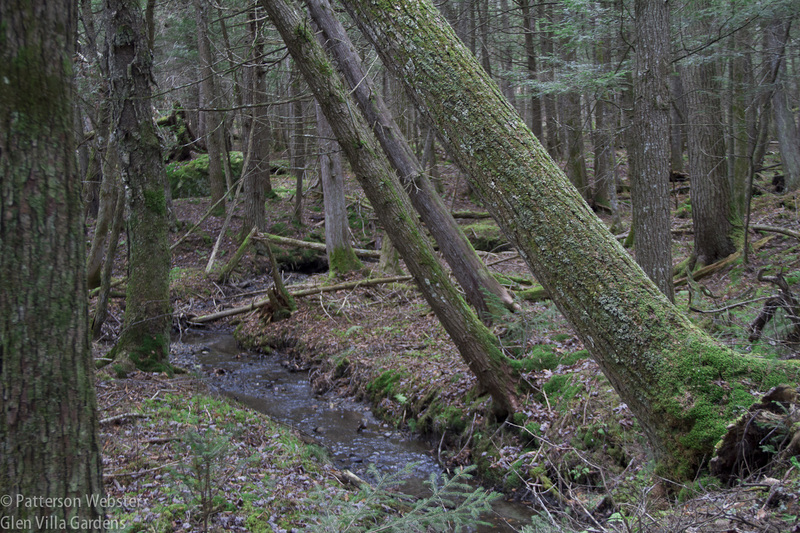 On either bank of the stream that runs through part of Glen Villa’s woods, the woods are like a rain forest in some warmer and wetter part of the world. Rutted tracks through the woods which normally at this season are bone dry are now ankle deep in water. The stream is running almost as rapidly as it does in the springtime, when melting snow raises water levels to the top of the bank. And this despite the fact that, for weeks, we’ve had almost no rain at all. I’m told that the watery ground is the result of the earth freezing — as it did briefly a few weeks ago — and thawing, and that the short cycle between these two extremes explains the amount of surface water. This may be the case. 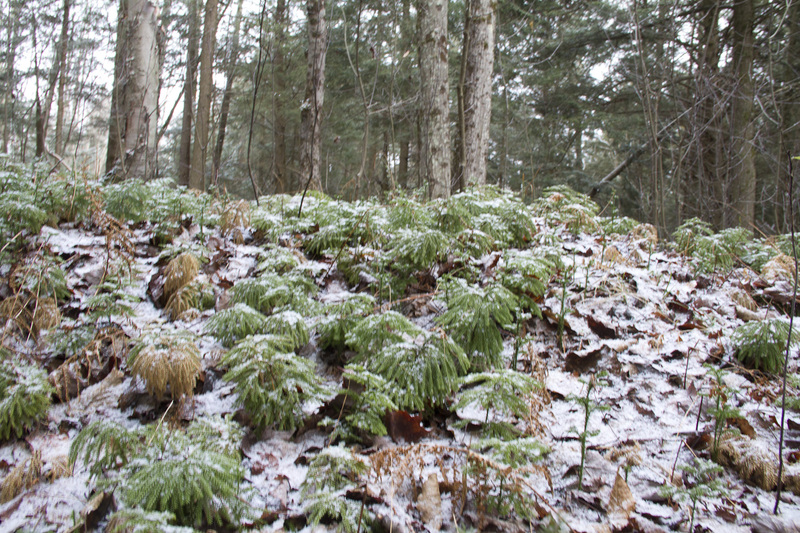 But whatever the explanation, the extra moisture has created a landscape clothed in shades of green that range from the dark green of Christmas ferns (Polystichum acrostichoides) to the pale green of emerging spring. 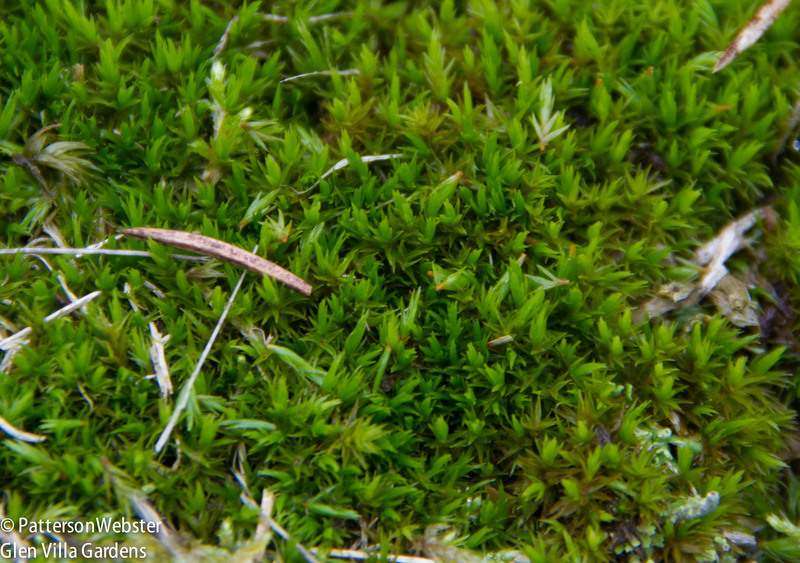 Moss is the major source of green. This isn’t surprising since there are between 9,500 and 22,000 different species of moss, depending on the source you consult. 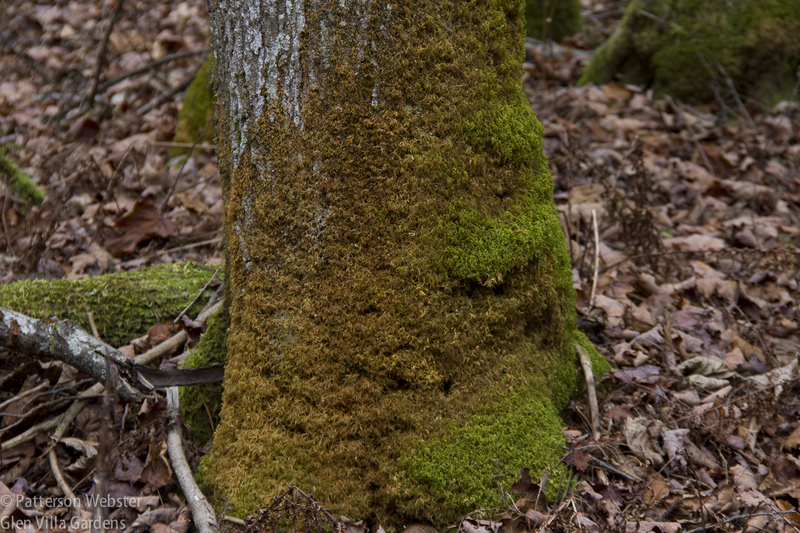 I haven’t attempted to count how many types of moss grow in our woods; I haven’t tried to identify any of them by name. But based on the number of shades of green and the differences in textures that are obvious after even a cursory glance, there may be several hundred or more. 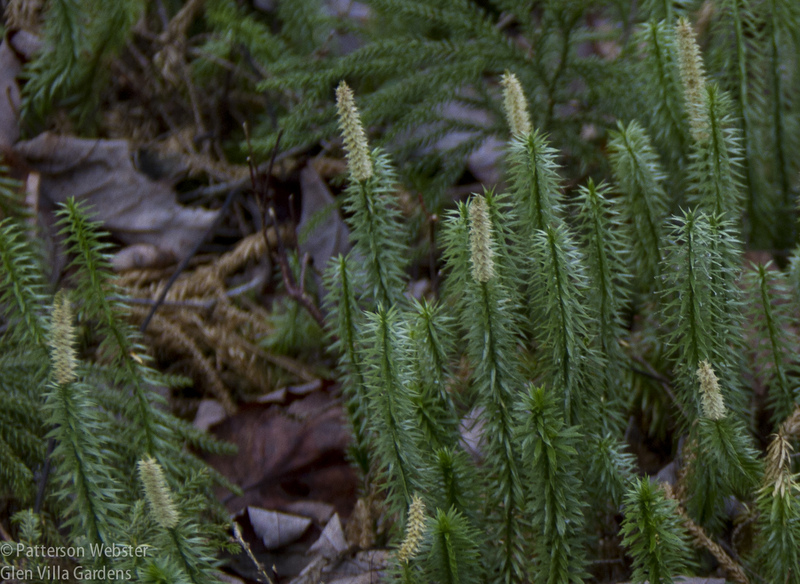 I don’t know if the plant below is a moss or if it is more properly placed in some other botanical category. 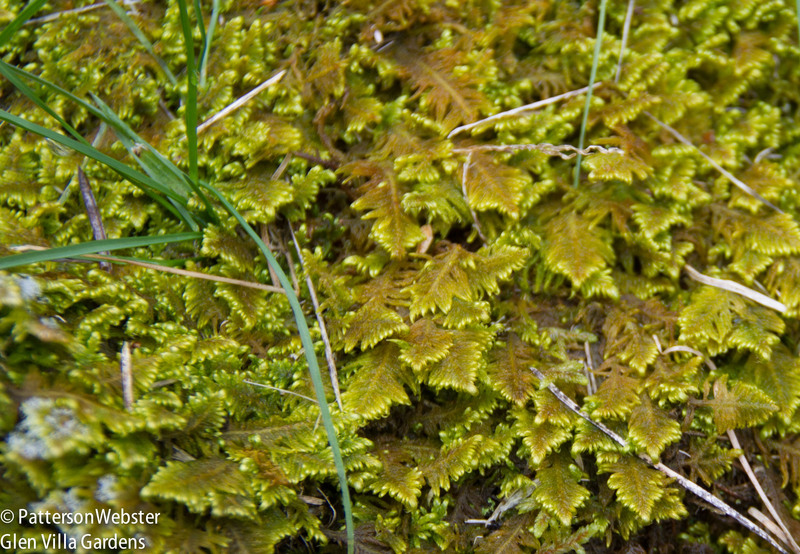 What fascinates me is how different it is from other mosses that are growing nearby. This muti-coloured moss looks feathery. or like this one, that reminds me of the brush I used to wash dried-up milk from the bottom of baby bottles. Are the white tips a sign of death or of new life? 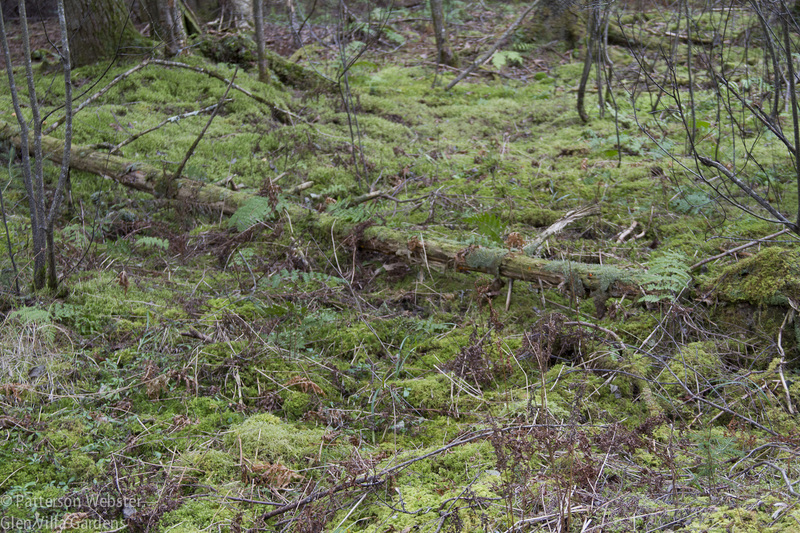 Different types and colours of moss create different atmospheres. 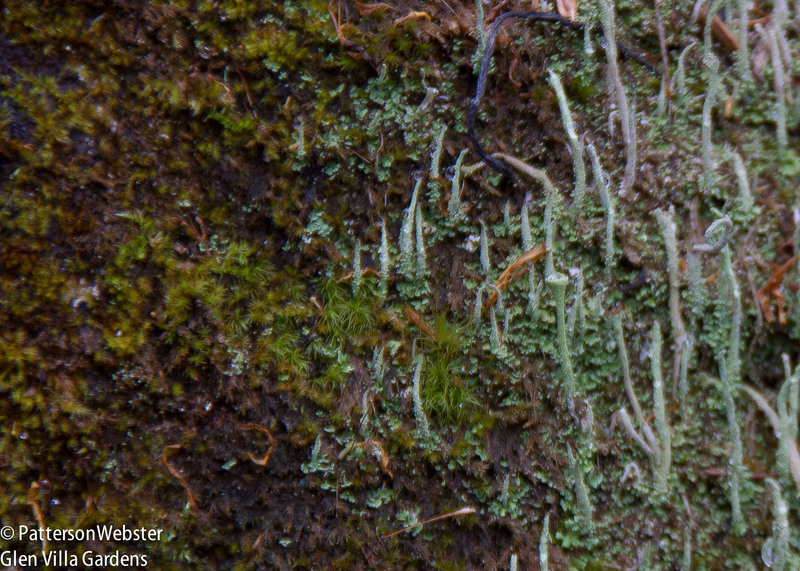 The glow-in-the-dark moss that covers part of the tree trunk below makes me wonder if it is radio-active. Does the V shape of the fallen branch suggest anything to you? I find it spooky, particularly in contrast to the blue-grey tree trunks that surround it. A soft cushiony moss makes me want to stretch out for a nap. I might want to lie down on this moss carpet but I can hear my mother warning me it would be much too damp. A multi-coloured moss makes me question why the colours vary so strikingly. 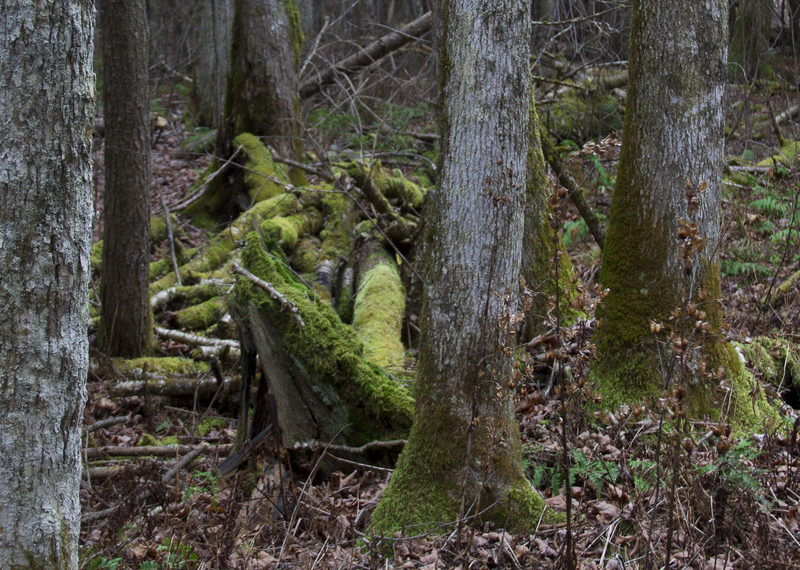 More shades of green: olive, jade, mint, chartreuse, fern — and moss, of course. But which moss? 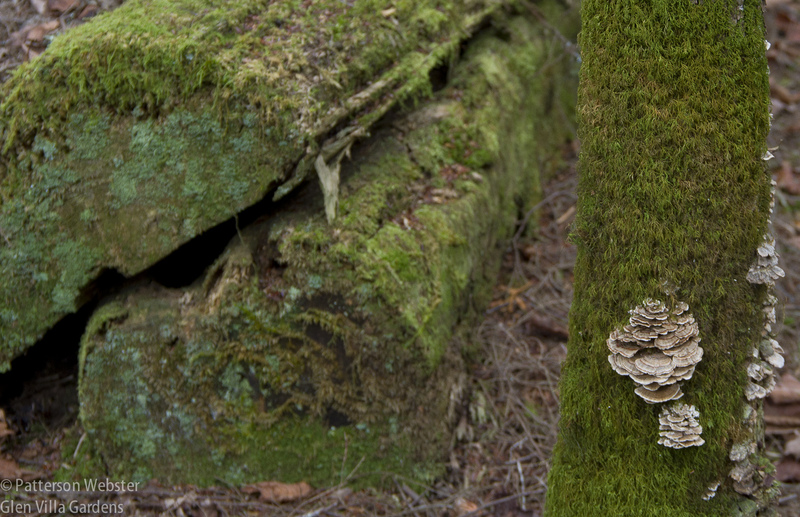 Along with the varieties of mosses are lichen and fungi of all sorts. They add to the richness of the scene, bringing different colours and different textures into view. 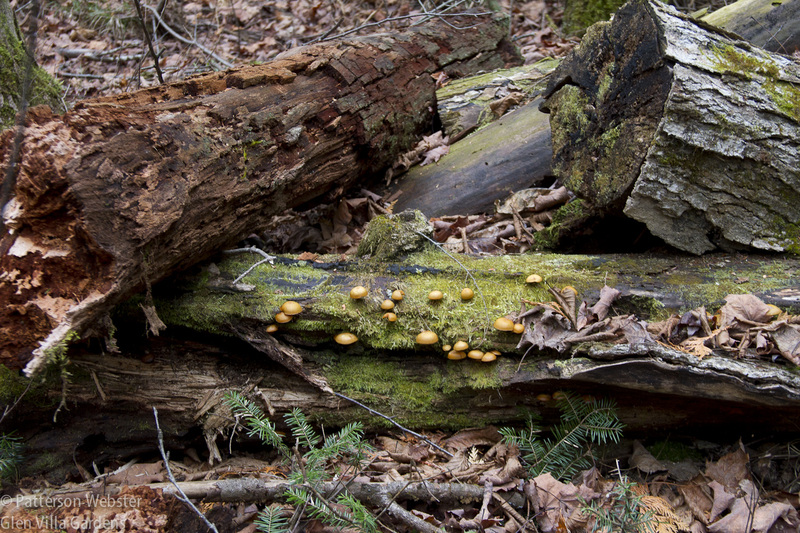 These colourful fungi covering the length of a fallen tree trunk appear hard and brittle. I like these colourful scallops and photograph them almost every time I pass by. 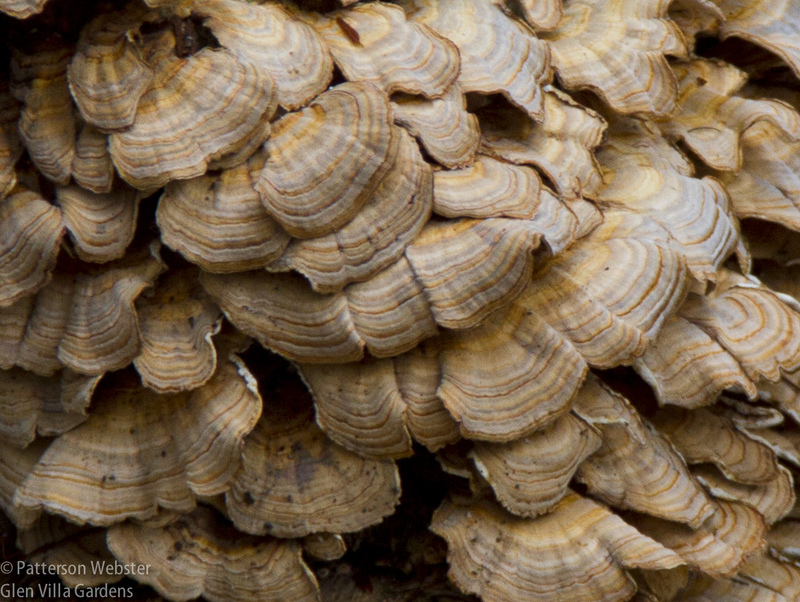 These yellow growths look soft and slightly dangerous, like puffy mushroom clouds. These mushrooms may look tasty but I’m not serving them for dinner, tonight or any other time. Can anyone identify this growth? 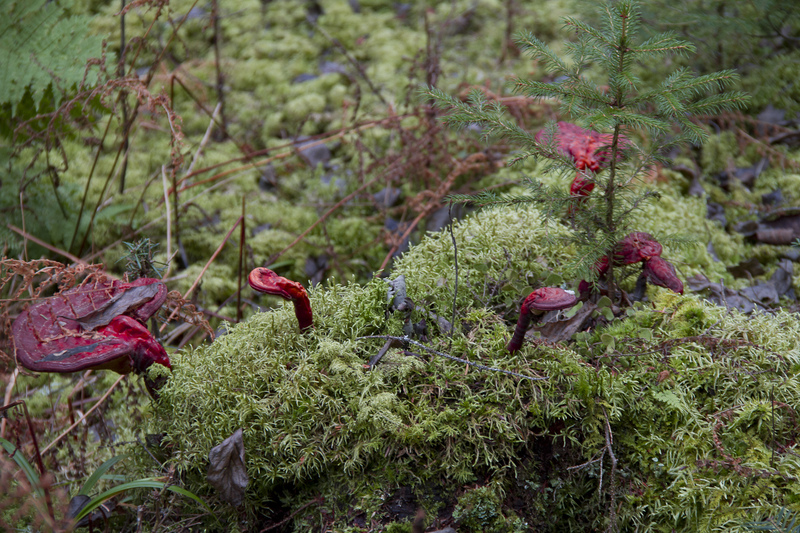 Whatever it is, the shades of red and orange certainly stand out against moss-green moss. Mossy tree trunks frame a view along a small tributary of the main stream. To all of them, I say thank you. You change a grey forest to technicolour. P.S. I wrote this before snow fell. Returning to the woods two days later, I came across these little spruce-like umbrellas. My companion said his mother wore them in winter corsages. What a chilly picture came to mind! 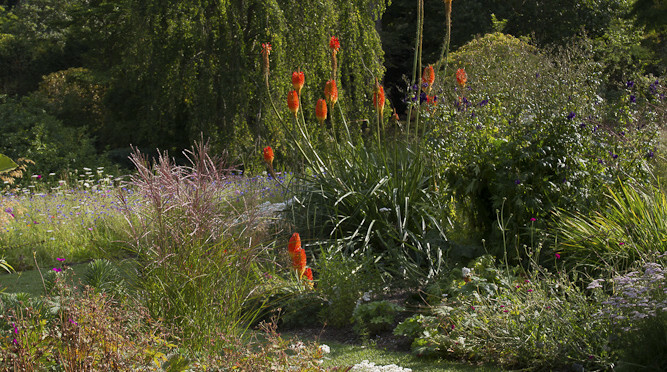 Broadwoodside is the garden of Robert and Anna Dalrymple. 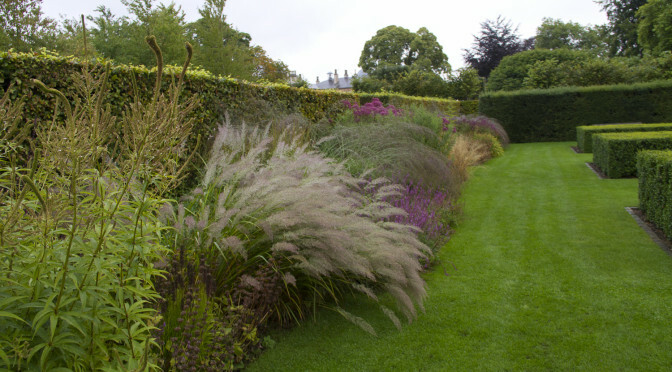 Located some 20 miles east of Edinburgh in Gifford, East Lothian, Broadwoodside is a garden of subtle humour and artful plantings. When the Dalrymples bought the property in the late 1990s, it was nothing but a collection of derelict farm buildings. 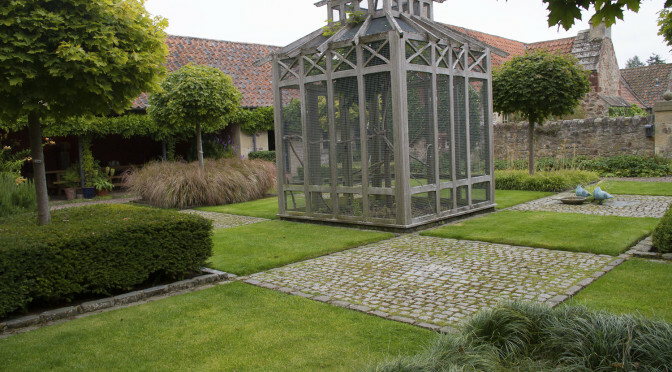 Since then, under their direction, gardener Guy Donaldson has planted a series of gardens nestled within walled courtyards and in areas outside the walls. [caption id="attachment_3039" align="aligncenter" width="768"] Would I have had the courage to renovate this property? I seriously doubt it. 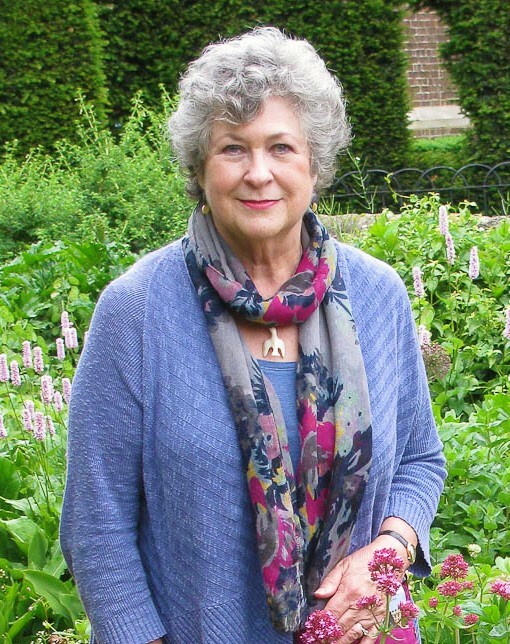 Does your garden suffer from the blahs? You know, that late season feeling when everything looks past its best before date and a walk around the garden drags you down? That's how my garden has been looking recently, and that's how I've been feeling. But I may have found a remedy. To prepare for a short talk I gave last week, I flipped through my photographs of gardens in Scotland and the north of England. Some photos I passed by quickly, others made me stop for a second look. Why? 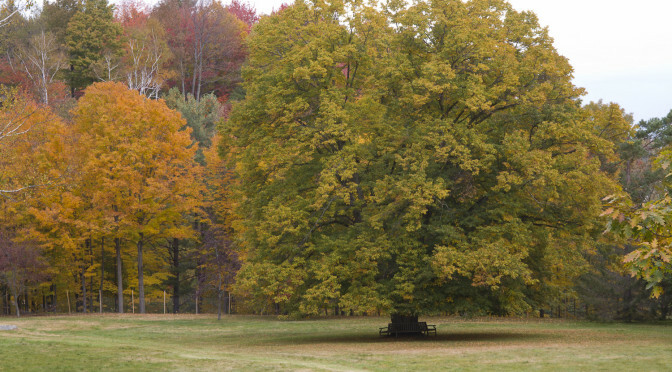 I haven't followed my tree, a linden or basswood (Tilia americana), since August. The reason is simple -- in September and October I was travelling during the time when the Tree Following meme (originally hosted by Lucy Corrander of Loose and Leafy and as of this month hosted by Squirrelbasket) was open. But I'm at Glen Villa today, so a post about my tree's progress since August seems only right. Photos are the clearest way to chronicle the changes, from the green of late August to the green touched with yellow of mid September. [caption id="attachment_3006"